Giving everyday people the experience of being a fashion model. Have you ever spent time gazing at fashion magazines, wishing you could exist in the beautiful photographs that fill the pages? Or have you ever wanted to get your portrait taken, but you just don't think you're beautiful enough? Well I'm here to tell you that you ARE beautiful and that you can and should be photographed just like a model! Existing in beautiful photographs is more important than many people realize. It's far too common to put the most important things in life off until it's too late. Being professionally photographed is one of the most incredible things you can do to feel both empowered and confident, as well as give those you love most the chance to praise and celebrate your beauty. The beauty that they already know exists. Every client will begin their special day in the caring hands of a talented Denver hairstylist. 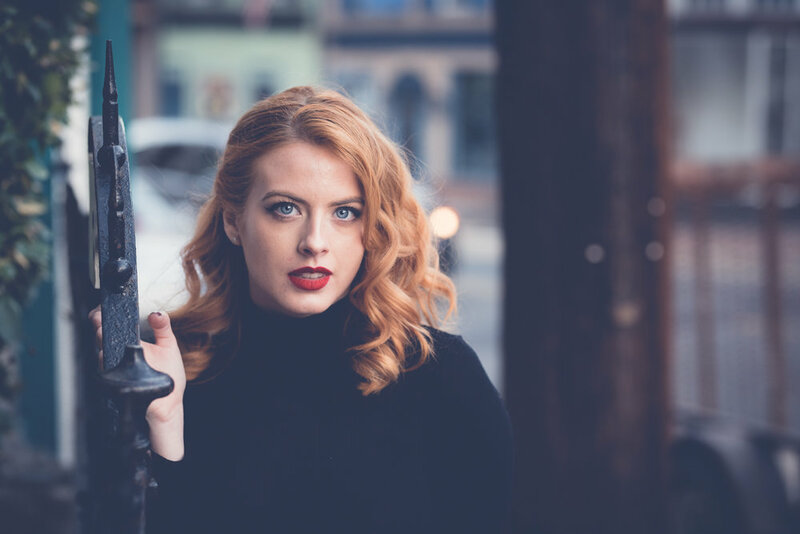 Almost every style is available from sleek blowouts and elegant updos, to the much requested and authentic vintage hairstyles for clients wishing to channel their inner 1950's Vogue model. Once your hair is styled to perfection, the artist will continue on to your makeup. The incredible makeup artists that I work with are familiar with my style of photography/editing, which they keep in mind in order to give you the most flattering and glamorous look possible. At the completion of your hair and makeup...and after a wardrobe change...your photo shoot will begin! You will be directed by me into elegant poses, straight from magazines like Vogue and Vanity Fair. We will work at a gentle pace to allow both of us to warm up and create the most incredible artwork together. All images from your session will be edited in Adobe Lightroom and retouched in Adobe Photoshop. Skin will be retouched to remove blemishes, but still appear to have as realistic texture as possible. Eyes will be sharpened and enhanced. Teeth whitened. Folio Box: An elegant heirloom that will be treasured for generations to come. The final and most exciting part of your experience is the slideshow reveal. You will be shown up to twenty stunning images from your photo shoot and from there, choose which ones to preserve for you and your family to cherish. I believe so strongly in the power of heirloom products. We truly owe it to the future generations that will love us one day to exist in real and tangible photographs today. The beautiful product that I make available to every Portraiture client is a stunning and elegant 11 x 14 folio box. This simple and yet extraordinary product is the perfect way to store your photographs, printed on high end paper with archival quality ink. 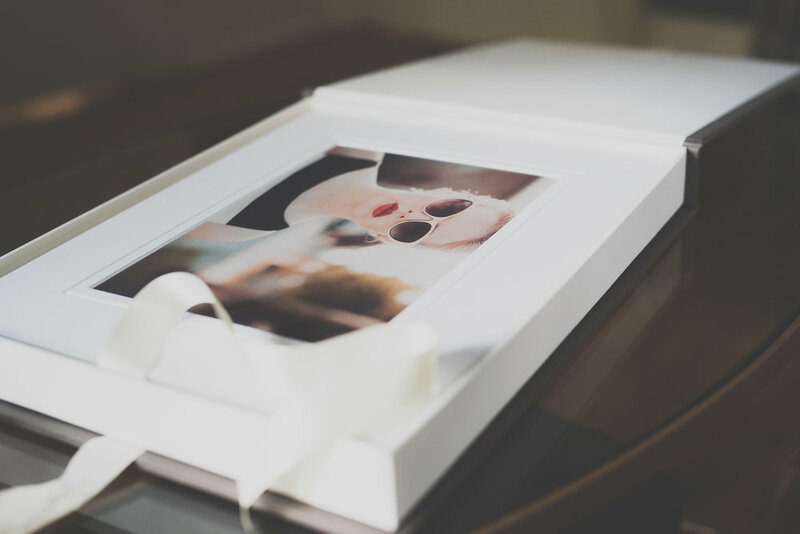 The 7 x 10 matted images inside are perfect for framing, gifting to family members, or can remain inside the box and displayed on a coffee table or bookcase. This luxurious product is handcrafted to outlive you, for your children and grandchildren to treasure and feel close to you once you have departed this world. With tears in their eyes, they will someday say, "Wow. She really was beautiful, wasn't she?" To view pricing for Fashion Inspired Portraiture, please click here. To book your session today, please click here. I cannot wait to photograph you.